Foxy Friends Photopolymer Stamp Set by Stampin' Up! What does the fox say? She says that you’re invited to a forest party! 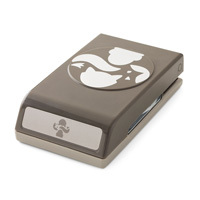 This stamp set lets you make foxes, raccoons, wolves, squirrels, rabbits, deer, and the forest to boot. Furry forest friends are calling!